The link between the older works and what would be the ‘real’ Kraftwerk of later LP’s. This is a much more ‘structured LP, containing more structured rhythms and melodies. However, along with the first two albums Ralf and Florian has never been officially re-released on vinyl nor compact disc. In interviews around the time of the remastered The Catalogue Ralf hinted that the album may be finally released in a remastered format. This has yet to materialise. 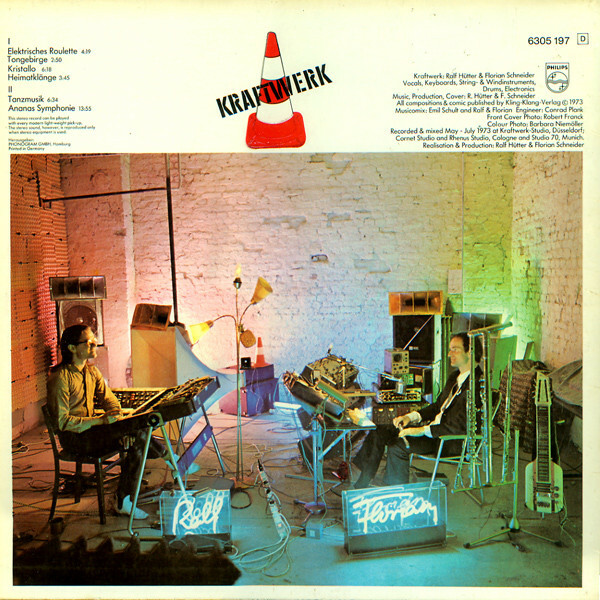 All tracks like their previous album Kraftwerk 2 are credited to just Ralf Hutter and Florian Schneider with the help in production studios of Conny Plank. The album was the first for the band to use an electronic voice created by an early form of vocoder. More obvious use of synthesisers and again the use of a pre-set from an organ’s beat box. The German version of the album was released with a “music comic”, a large poster of cartoon like art, by the artist Emil Schult who had been playing with the band on violin. The cartoons represent each track from the LP as well as from the German city of Dusseldorf. Kraftwerk recruited Wolfgang Flur to perform in a TV appearance and later became a member of the band from then on. 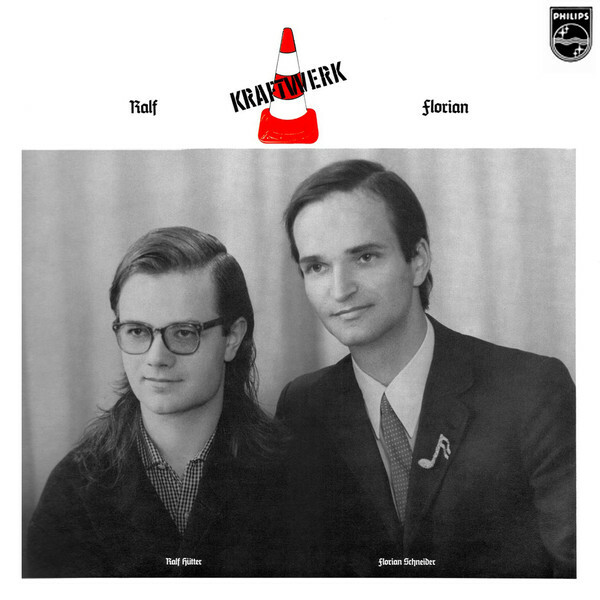 As earlier mentioned the album points the way to what Kraftwerk would become. It goes back to the past with the use of flutes, guitars and drum kit, but also becomes more melodic and tuneful, a lot more keyboard based.